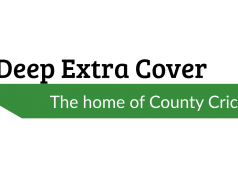 Only once before had a team won both divisions of the Specsavers County Championship in consecutive years – Nottinghamshire in 2004 and 2005 – until Essex this season. Their record in 2017 is unquestionable: the only county in both divisions yet to lose, they have thus far won eight matches from 12, a far superior tally than predecessors Middlesex. Indeed, last year’s champions have not a blemish on Essex, taking fewer wins (six) from the season’s greater number of fixtures (16). 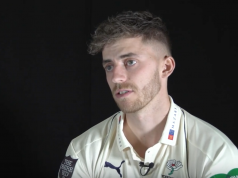 That this has happened is no accident, with the county possessing the country’s two leading wicket-takers in four-day cricket and with eight of their batsmen having struck centuries, often at vital times. One would suspect that the desire to go unbeaten will be a burning one around that camp, and complacency in the final two matches would be a slightly sour end to a season that will live long in the memory. But where an Essex slip-up would be a disappointment, for Hampshire it could cost them Division One cricket next season. Even in fourth, they are not safe from relegation, mathematically or realistically. They lead seventh-placed Middlesex by just 12 points. This could well be the best time to play the champions, on a high. But after a season in which they have proven everybody wrong, Essex should be underestimated only at one’s own peril. No county has suffered more at the hands of Kyle Abbott in first-class cricket than Essex. His average against them, 9.61, is his third lowest against any team and the best against the 12 counties he’s faced. 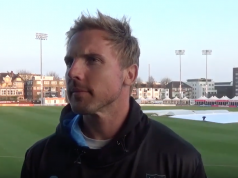 The last and only time he met Essex at Southampton, he picked up eight wickets and Hampshire recorded their largest ever first-class victory. Spearheading his side’s attack, Abbott is the third highest wicket-taker in Division One and he’ll need to perform if they are to win this match. Tom Westley is a man with plenty to prove. After a difficult spell in the Test side this summer, which saw him average just 24, he is in desperate need of some runs to justify a spot on the plane to Australia this winter. His record is strong – over a thousand Championship runs last season and two centuries this summer – but he will need to push on further if he wants to be part of the Ashes set-up. Liam Dawson returns to the squad having been involved with England’s T20I set-up, while red-ball skipper George Bailey is also back after a three-match T20 series in Pakistan with the World XI. James Vince suffered a hamstring injury in the warm-up at Uxbridge last week but has recovered in time for this match. Alastair Cook is available for selection after a week’s rest following England’s Test series with West Indies but, fascinatingly, is not included in an unchanged 13 from Essex’s title-clinching trip to Warwickshire last week. Mostly dry with rain set to shorten the third afternoon and mild mid-September temperatures of around 16 degrees. That 10.30am start will be plenty fresh; an ideal time to not be stood at first slip. On a ground where the new ball is typically the most threatening time, Jamie Porter and Sam Cook could be very tasty.